Log Cabin Interior Costs – What to look out for! Your log cabin interior costs are influenced by a number of factors! All too often we just think about the price materials costs to buy and we neglect to research or get quotes for other important aspects! You really need to know what the installed and fully finished costs are, as well as having a very good idea of material life spans, any maintenance costs and what any replacement costs would be, (should this be needed at some stage). The material purchase price does have a big impact on overall log cabin interior costs, but never view this figure in isolation. One material could be cheaper to buy, but the installation costs could be far higher, meaning overall it is considerably more expensive! Always look at the big picture and choose materials from a long term standpoint. After all a cheap material doesn’t work out very cheap if you have to replace it after 5 years! We do know however, that certain materials are much more costly to buy per unit area, than others. Plasterboard is very cheap, as it is a mass produced man made product, manufactured from low cost materials. Granite for example is a very beautiful and natural material, but the cost is very high. Timber can be reasonably cheap to buy, but the actual cost will very according to the species, age of the timber and the thickness of the finished product. So when choosing the materials for inside your log cabin, do consider the cost of the material itself, but also make sure you understand the costs involved in the following sections! 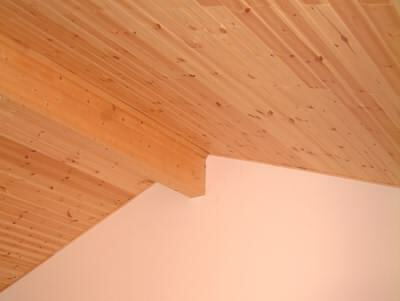 As log cabin interior costs go, installation can be a big element in the overall budget. This will vary a lot depending on the material in question. 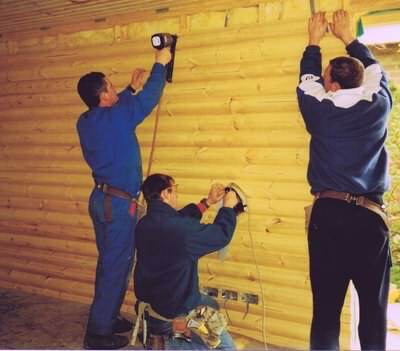 So what affects the installation process and how does this influence your log cabin interior costs? Some materials require minimal preparation work, while others have a lot which needs to be done before installation starts. Particularly if you are working with inflexible materials i.e. stone/ceramics, floor levels or wall flatness have to be spot on before installation can commence. Also does the material in question need the material underneath it to be sealed? If you are using adhesives, what requirements are needed for a good bond to be formed? How your chosen material is actually fixed in place will affect the speed and cost of the overall installation process and therefore this affects your overall log cabin interior costs. Materials which require specialist tools, high number of fixings or require complex patterns, can often increase installation costs. If you are not sure how materials are fixed, find out and ask for some idea of cost per square foot or metre. No you eyes are not deceiving you he really is using an iron!! If your timber gets dented during handling or installation, hold a damp cloth over the affected area and apply a hot iron. The heat and moisture helps the wood grain to pop out and greatly reduces any indentations!! For some materials once the fixing process is complete, the job is almost over. For others there is still a long way to go before everything is complete! What finishes are required, how long will this take and what is any material cost, are all important questions to ask. For example if you install unfinished wooden floor boards there is a considerable cost in sanding and varnishing your floor to reach an acceptable standard of finish. Some materials will require maintenance, whilst others require little or nothing in this regard. A brief bit of attention in cleaning or wiping a surface is not likely to cause anyone to change their mind over a material choice, something more involved might though! Particularly think about this issue where you are in a wet or dirty environment. Kitchens and bathrooms therefore can be more critical for good maintenance than other rooms, where little should be required. Maintenance can also be required when wear has become a problem. High traffic areas on flooring can be a problem with softwood flooring for example. So if you intend to use this type of product in an entrance area say, be prepared that after a number of years you may have to sand the floor down and re-varnish it. 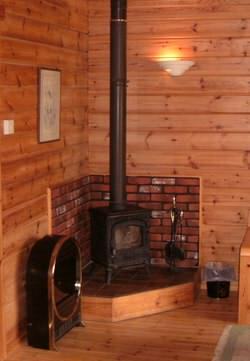 Remember your all log cabin interior costs should be considered for as long as you intend to keep your log cabin. Most materials will last a long time and some should last forever! There maybe some though that will have a set life (depending on usage) and will have to be replaced at a certain point. When comparing materials therefore, if you plan to keep your log cabin for a long time, then make sure you bear any potential replacement costs in mind. Carpets for example will wear out, where as stone or ceramics are not going to. Therefore although say ceramic floor tiles cost more in the first place, over 15 years for example would the cost of 2 new carpets still be cheaper? While nobody can no for certain what the future holds, it certainly make a lot of sense (if you have the money in the first place), to buy quality long lasting materials to start with. 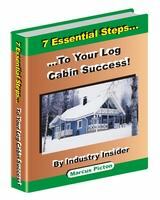 Log cabin interior costs can escalate when fire treatment is needed! We have gone over this is another section, so I won’t repeat myself here, but if you don’t already know about fire treatments and you will need them where you are building, then you must learn all about this. Please visit our section on fire treatment.